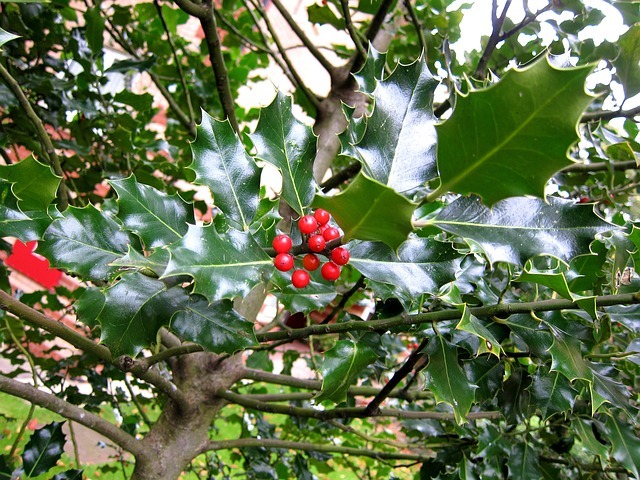 American holly (Ilex opaca) is a small, conical or oval-shaped evergreen tree or large shrub that is native to the eastern United States. 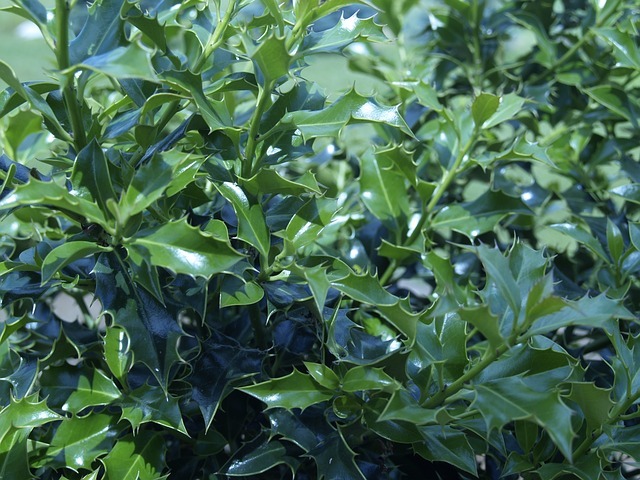 American holly is seen commonly growing in the wild and also placed as an ornamental for landscaping and as a screen. It's branches (along with it's berries) are often used during the holiday season for decorations. Leaves: Elliptical to oval shaped, glossy medium green, evergreen leaves (they remain the same color and do not fall off the tree during the fall season). Flowers: White flowers appear in the spring. Fruits: Small, prolific red drupes in the fall or winter months. Bark: Light gray and smooth or dark gray and mottled. 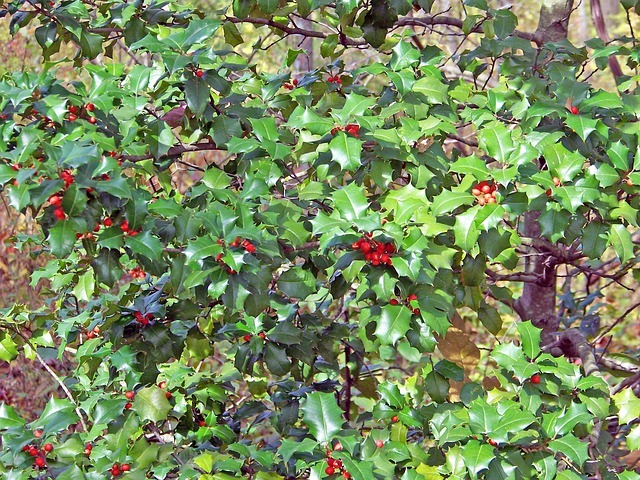 American holly's berries are mildly toxic to horses if ingested. 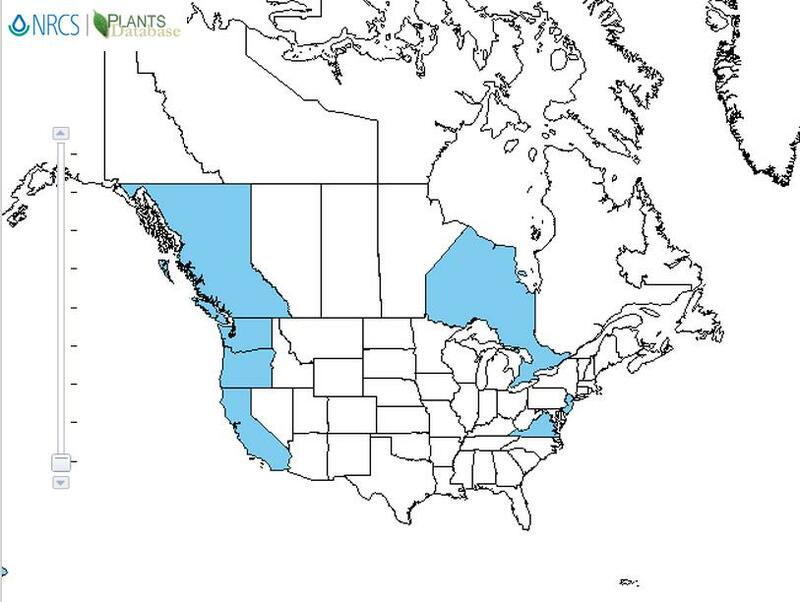 They contain several toxins which include saponins, terpenoids, sterols, alkaloids, and cyanogenic glucosides. The concentration and types of toxins varies depending on the growth stage of the berries. Highest concentrations of the saponins decrease as the fruit ripen, while the concentrations of tannins increase. American Holly The Washington Post. 2014. 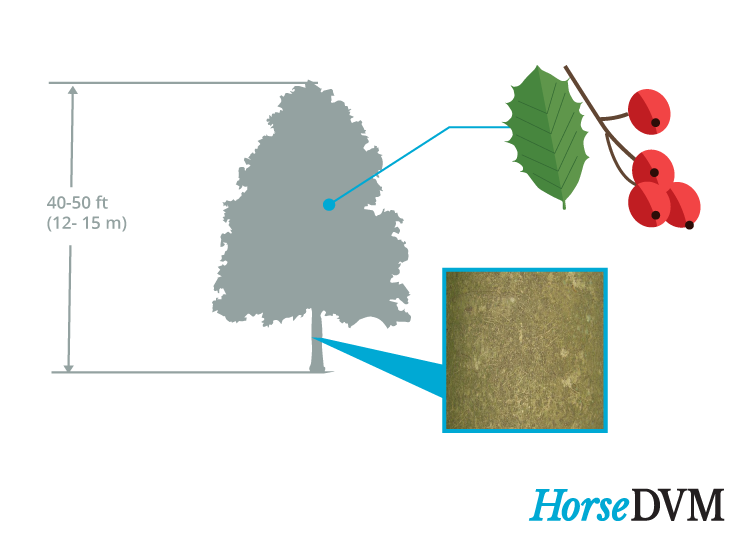 C Williams Ask the Expert - Are holly trees poisonous to horses? Rutgers. 2013. 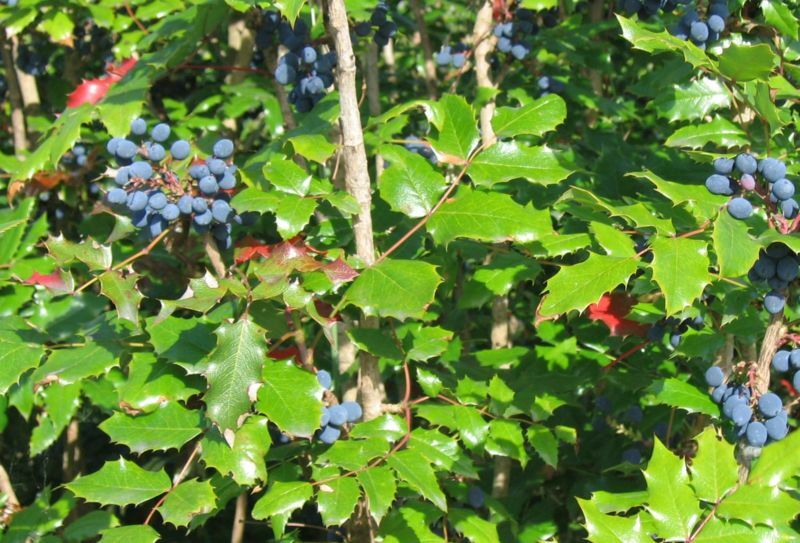 Steve Price Increased concentrations of toxic compounds in young leaves of the American holly (Ilex opaca): evidence for a two-tiered defense system Davidson University. 2011. West, L. G.; McLaughlin, J. L.; Eisenbeiss, G. K. Saponins and triterpenes from Ilex opaca. Phytochemistry, 16 1846-1847. 1977.